Simple enough. For years, we’ve mostly managed high waters through options 1 and 2, ignoring 3, with concrete and earthen dams and levees to keep the water away. Championed by engineers like Humphreys on the Mississippi in the mid 1850s, advanced engineering and technologies have “tamed the river,” reducing the frequency of smaller floods (as well as our memories of them) and allowed for more economically productive uses of floodplains. As a result, communities have thrived for centuries on low-lands thanks to deepened channels which allowed for navigation and trade, flat fertile soil for agriculture, residential and commercial development, and beautiful waterways as a scenic place to recreate. 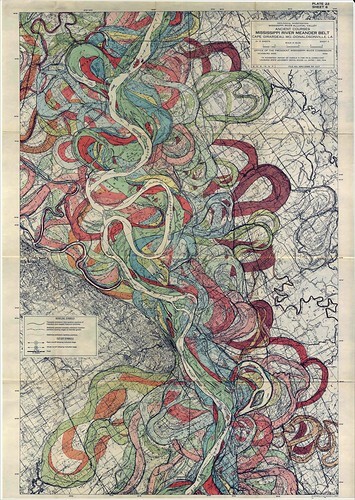 FISK Map 1944, Historical Courses of the Mississippi River. Over time, this way of management restricted the ability of a river to maintain it’s preference–option 3 above: to spread out on to a floodplain every once in a while when waters are greater than the channel capacity. The Delta Blues remind us that such is the desired course of rivers where floodwaters use the floodplain– irrespective of human settlement on it. Consider also the numerous historical courses of the Mississippi River. Mark Twain also understood this well. Humans know that we have repurposed floodplains and placed valuable assets in a rivers’ path. We are no stranger to the fact that rivers need room in order to protect our cities, farms, industry, and way of life. We remember the Great Floods of 1927 and the multiple breaches on the Missouri and Mississippi systems during 2011. Making room for rivers was just the subject of a recent Scientific American article, as well as one in the Economist. Expanding floodways made a grand entrance to the first draft of California’s Central Valley Flood Protection Plan (table 3-2) as a viable way to meet multiple objective, and to a lesser extent, “Room for Rivers” is also considered in the 5th draft of the Delta Plan. Lastly, in 2008, California Legislation from SB 5 (California Water Code Sec 9163 (c) ) required the state consider the feasibility of a bypass on the Lower San Joaquin. While the concept and buzz word of “Room for Rivers” might be understood by some, what follows is a brief explanation for those who aren’t quite so hydraulically inclined (great blog by the way), and some detail for those who want to know the practicalities. What does “room for rivers” mean? The explanations and project examples below demonstrate that giving room to rivers actually incorporates all three options above–storing high water, conveying high water, and allowing high water to overflow the banks from time to time. Presented factually, this post does not advocate for or argue against certain projects– the attempt is to provide information and opportunity for a discussion. There are some additional resources provided at the bottom and please comment if you have questions. For better or worse, in the United States and in Calfornia especially, we have a strong element of public involvement in most planning processes. Better because it forces transparency, allows voices to be heard, and as Americans we really can have some influence in shaping our future. Worse because… all of those voices have different perspectives and priorities (often conflicting)– and as a result, the process can take ages. No where has this been more prevalent over the last 30 years than in California, amidst the struggle to balance competing needs with constrained budgets in the Central Valley, the Delta, and with respect to any topic related to water. Todays’ post briefly discusses the most recent plan in the headlines and how one group has united behind common goals and interests to improve a policy that will eventually affect multiple parties including all California taxpayers. The Central Valley Flood Protection Plan. 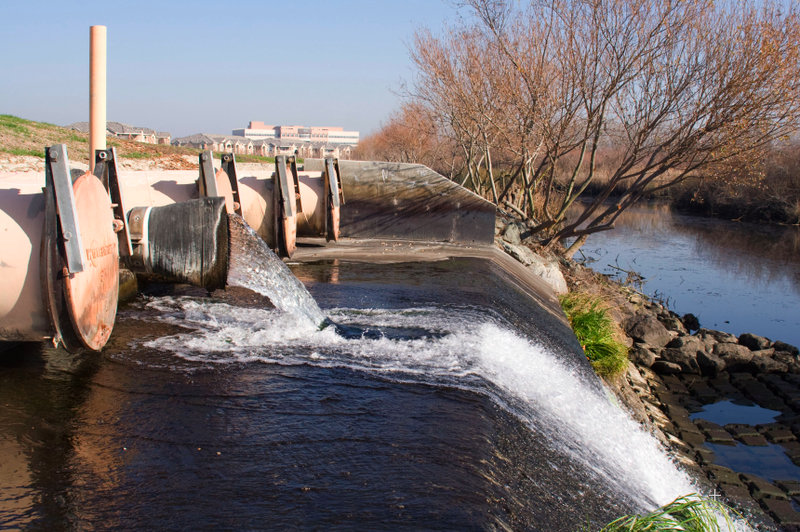 California has embarked upon large scale system-wide flood risk reduction projects and policies with California Department of Water Resources‘s recently released Draft of the Central Valley Flood Protection Plan. The Central Valley Flood Protection Board must adopt (or reject) the Central Valley Flood Protection Plan (CVFPP) by June of this year and the public has again an opportunity to play a large role. The Flood Protection Board will both receive recommendations on the plan and will make suggestions to the Department of Water Resources to amend the plan. The original flood management system in the Central Valley was built over a hundred years ago, much of it created property by property, when at that time it protected mostly agriculture. (For a good history, read Battling the Inland Sea, Kelley 1998). Over the years however, much of the infrastructure has been degraded, levees have failed, and consequences of failure have changed. Today, the Central Valley’s flood management system protects dense urban areas including those of political importance like the capitol city of Sacramento–also critical infrastructure, unique ecosystems, and a valuable fresh water supply. The state of California recognized the need to improve the system in 2008 and passed legislation (SB 5) to create a system-wide plan (the CVFPP) to address deficiencies in the Central Valley Flood Management system where failure could mean billions in damages for all Californian taxpayers. To learn more about the plan and process, click here. Supporting goals are to improve operations and maintenance, promote ecosystem function, improve institutional support, promote multi-benefit projects (ecosystem, water supply, etc). The billion (5 billion in fact) dollar question lies in how? How to manage competing interests? Public Safety and Ecosystem Function (and agriculture and water supply) are not necessarily in conflict, despite that it has appeared that way in the past. A robust flood management approach can reduce flood risk and enhance ecosystems by incorporating both technical and non-technical measures. Examples of successful projects can be seen in California where the Yolo Bypass has protected Sacramento from flooding since 1933, and in the Netherlands where the burgeoning Ruimte voor de Rivier programme promises to reduce water surface elevations and improve “spatial quality” on a system wide basis. Other areas in Europe are following suit (Adaptive Land use for Flood Alleviation project). The Department of Water Resources has made a good start in this direction as the first draft of the Plan is not limited to a levees-only approach, and it tries to appease the sum rather than the parts. But I suspect that as public comments begin to arrive to the Flood Board, we will likely see requests to protect individual interests–requests that miss out on the sense of collective good– something that is really needed if California wants to reduce risk on a system-wide basis as opposed to piecemeal. I came across this letter (below) and I’ve pasted it as an example of how 16 conservation local and national conservation groups collaborated to provide the Flood Protection Board with clear, implementable recommendations for the Plan to reduce risk and achieve the plan’s stated goals. For full text of the letter, click here: Conservation Community Letter on Flood Plan 2-15-12 The Board will have a public hearing on February 24 in Sacramento. Specify an overarching strategy with measurable objectives for incorporating ecosystem function. Clearly state how the flood plan will be integrated with related state and federal restoration efforts within the state flood control planning area. Develop a more explicit climate change adaptation strategy to minimize projected impacts on flood risk, ecosystems, and water supply reliability. Explicitly integrate and balance flood management and water supply objectives. Provide specific guidance to enable local planning. On the Souris River in 2011, higher mountain snowpack than anticipated combined with increased precipitation and full reservoirs meant that dam operators were forced to release more water than normal downstream. Communities below the dam were not prepared for the extra water and some 4000 houses in Minot, North Dakota flooded to the second floor. Outside of the regulatory “floodplain”, most of these houses were not elevated, were caught unawares and most were without flood insurance. They will likely be rebuilding their houses and lives for quite sometime. This situation is unfortunately all too common given that a large portion of flood damages actually come from events greater than a “100-year flood”, or outside of the regulatory floodplain (Burby 2001). Last week, a journalist from a Midwestern newspaper (in the United States) interviewed me to discuss the issue of floods. Beginning with the National Flood Insurance Program, we quickly moved on to the publics’ awareness of flood risk. 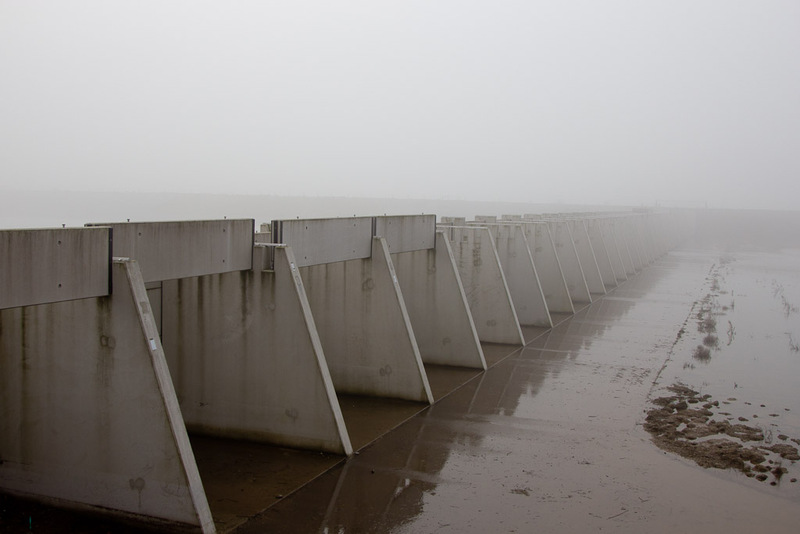 It surfaced that the perception of safety in the United States and around the world, which can come from dams, levees, and other flood “control” structures, could lure residents (and local governments) into settling flood-prone land with a false sense of security—when in reality, those lands are subject to significant risk from storms larger than the dam or levee was designed to handle. As a result, losses grow. (As paraphrased in Kelley 1998). The main topic of discussion for this interview was flood risk perception and Residual Risk. The journalist expressed concern that the general public is not familiar with this term, when perhaps they should be. That inspired me to spend a bit of time thinking about residual risk and how we can communicate it to those who need to know. Who does need to know actually? The first step involves simplifying a message which I attempt below. The second step would be more difficult, however, and involves finding ways to get the message out and motivating behavior both of decision/policy makers and individuals. I welcome your own input, comments, and suggestions on the topic. Flood Risk = Probability of a flood occurring X the Consequences when that flood occurs. You could substitute any intervention: Residual risk could also be the probability of flooding after elevating a house and the consequences of flooding after elevating a house; or, the probability after diverting water in a bypass and the consequences after diverting floodwaters in a bypass. I drew a schematic below to illustrate this concept. In the United States where levees built to protect urban developments must be certified to safely pass a “100-year flood” (light blue), or a flood that has a 1% chance in occurring in any given year, residual probability from larger floods (dark blue) is 26% over 30 years (the average length of a mortgage). Residual risk behind FEMA-Certified Levees (100-year levees) would be quantified most likely as 26% multiplied by the value (in $$) of the damages (and sometimes also of the replacement costs) to all structures and human life behind that levee. The discussion of how much a human life is worth is commonly debated in many countries, and I will not address it here. There is still a risk. Period. In my opinion, what most of the public thinks about when they hear “Risk” is actually only the probability. While this may seem like semantics, it is important because considering only probability likely biases (and limits) the types of measures people can take reduce their own risk. People tend to think that a levee removes risk because it reduces probability, and they forget that if the levee fails, the consequences part of the equation has not changed. A survey in north Stockton, California reported some residents firmly believed that their property would not flood if a levee near their house failed. 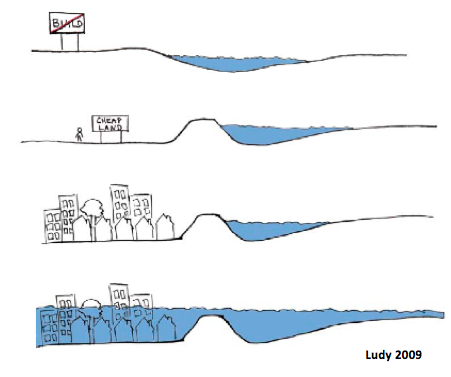 Some argue that levees increase risk because they allow land behind levees to be developed densely which significantly increases the consequences (see schematic below). This is also because while rivers rise slowly, levees tend to fail catastrophically with minimal warning time, and deep, fast moving water, which does not allow for safe evacuation. Risk involves both Probability that you could flood and Consequences to you when a flood occurs. You are never at Zero Risk. Sometimes larger floods come and they can overwhelm the flood defense measures that are in place like dams or levees. Land “protected” by 100-year levees and dams can still be flooded by a 200-year flood, a 500-year flood, and even a 101-year flood. If consequences haven’t been reduced, risk is still high and damages could be devastating. 1- Probability: If you are living behind a levee or a dam, there is still a 26% chance over 30 years that you could flood. Greater than 1 in 4. 2- Consequences: If you flood, your damages are going to be the same or maybe even worse because you won’t be expecting it, you wont have time to move your valuables to higher ground, or worse when levees fail, water often comes quickly and destructively. You may not be able to safely evacuate which is dangerous if you are on low lying ground. Probability: You are not in charge of managing the probability of a flood. You cannot control the precipitation, wind, or the path of the watercourse. Likely you yourself can not manipulate your flood management system by helping store more water upstream or building a higher levee. Consequences: You can reduce your consequences however (damages) for when a flood occurs. (This list is not exhaustive). Before you buy a house, find out if it is protected by a levee or a dam. If yes, try to live in an area that is on higher ground and not protected by a levee. If you already live in a house protected by a levee:Elevate your house. This means that when a levee fails or is overtopped, higher water levels won’t reach your house and you will suffer less damage. -Raise your valuables to a second floor. -Keep all living quarters on the second floor. -Be prepared: Have an evacuation plan (with preferably a vertical evacuation route-keep a hatchet in the roof). Emergency responders told me that during the flood they could tell the difference between those people who were prepared and those that weren’t. Those who were prepared had a greater chance at staying alive. -Purchase a flood insurance policy. Yes, even if you are not officially in a “special flood hazard area.” When the property floods, this will help you deal with the economic loss of both your building and contents. That people don’t understand the concept of residual risk is not limited to the United States. Further, it is not guaranteed that if people understood residual risk that they would necessarily change their behavior. However, exposing people to involuntary risk means that they do not have the option to take actions to reduce it. 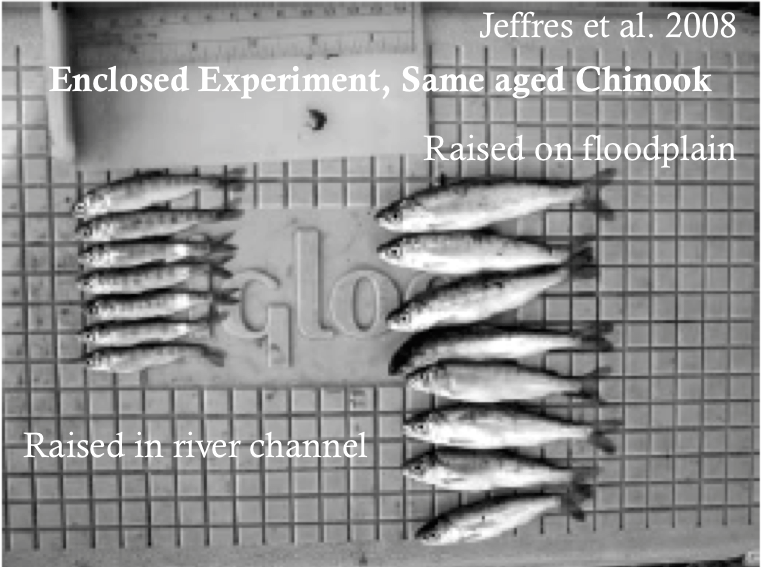 As a species, we have always settled on floodplains, and for better or worse, we probably always will. Communities in the Mississippi and Missouri Basins experienced significant flooding last year, and they also had major floods in 2010 (Nashville), 2008 (Iowa), 1997 (North Dakota), and of course, the Great Floods of 1993. While there are surely others on this list that I missed, and there are likely that will be added as the land is flat, our memories are short, and rivers will continue to do what rivers were meant to do. The important question is whether the losses from floods will continue to grow, or whether we can intervene to reduce them. Just as great rivers cultivated rich floodplain soil, so hopefully will they cultivate a culture of risk, adaptation, and appreciation for the power of water in the region. Last Saturday, I got to see a small piece of history–how the Dutch first harnessed the wind to aid in this feat (dry feet, if you will) by using windmolens to drain a catch basin at the Kinderdijk. From extended conversations with the employees, I couldn’t help but notice how the windmill operators are/were so in touch with the landscape (much as sailors, farmers, and fishermen are), and how this enabled them to successfully prevent, react, or interact (adapt) to seemingly all circumstances. While at the site, I also began to think about how our perceptions of landscape, water, and risk have changed over time. In the context of today, we have inherited a legacy of living on floodplain and below the sea–most unaware what the land used to be and unprepared for the power of water. We’ve deferred to governments to make decisions about our well-being for us and as such, do not take our own precautionary actions (most of the time). In the face of rising seas and subsiding lands, do we have enough experience to call upon, accept, and minimize future risks ourselves? In light of pondering heavy questions, here is a bit about the Kinderdijk. The picturesque Windmill-dominated landscape lies in a polder at the confluence of the Lek and Noord Rivers. Now a Unesco World Heritage Site, the Kinderdijk contains the largest concentration of working windmills in the country. The region used to hold 272 of them but over the years, they became obsolete and were torn down– 18 remain today. Though windmills serve many functions, the purpose of these particular windmills is to maintain dry-feet for sheep, farmers, and land. 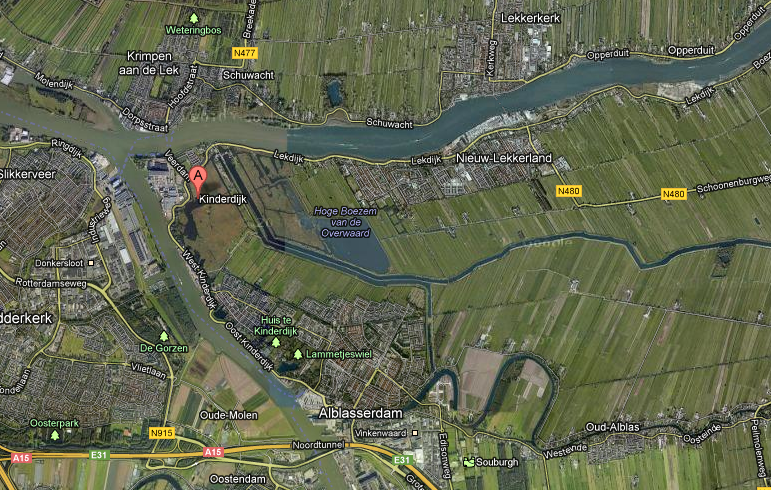 In Dutch, “kinderdijk” translates literally to “Child’s dike” and refers to the legend of how the region got its name. 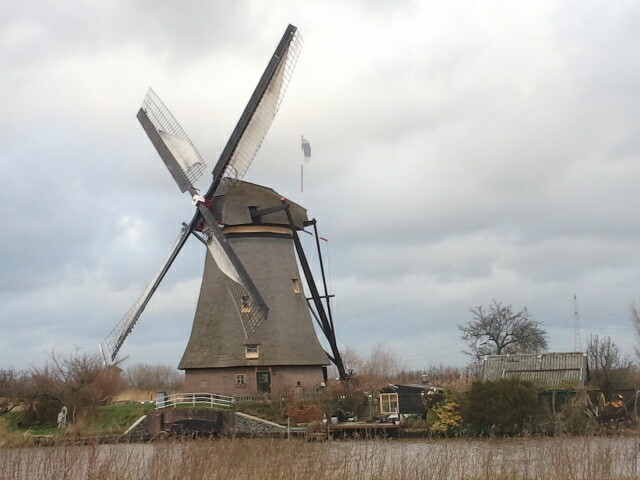 “Windmolen” means windmill. 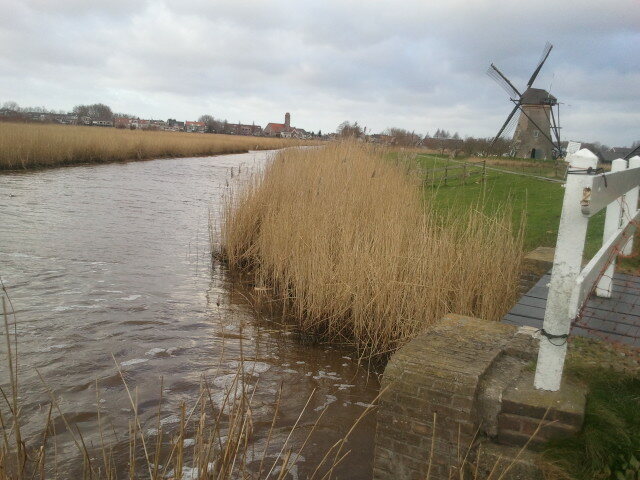 As it rains in the basin at 2.5 meters below sea-level, Cornelius (the operator) told me how mills pump the water from the polder ditch up into a canal (lower basin) in order to keep the polder dry. 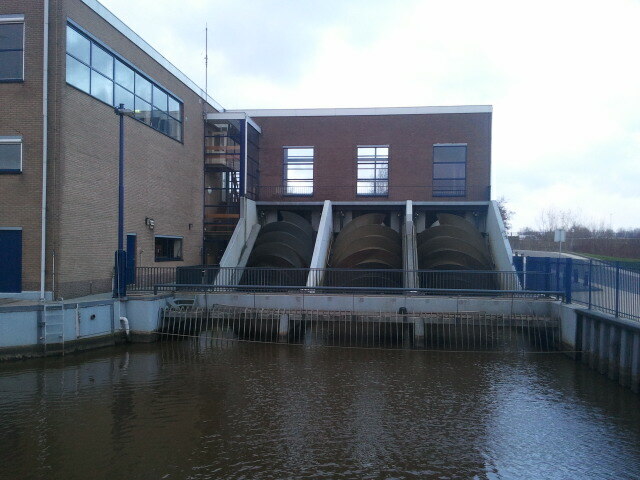 As the canal fills, the mills then pump water from the canal further up into a holding lake (intermediate basin). Ultimately water is then pumped again uphill from the holding lake and released into the River Lek (ring canal) where it eventually flows to the sea. If water levels in the Lek River are too high, water will be stored in the intermediate basin until levels in the river are low enough to discharge the water. 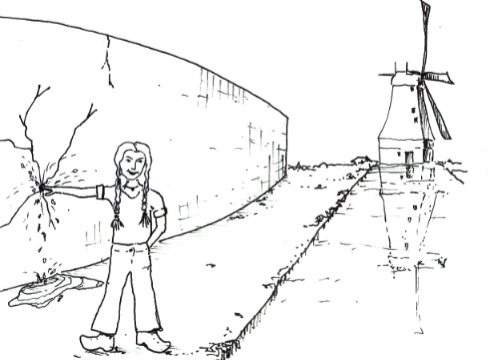 To prevent overflow in the intermediate basin in the meanwhile, windmill operators must signal to the others down in the polder to stop pumping until those at the “top of the chain” are able to begin pumping again. Cornelius explained that signaling others to cease pumping during the daytime meant a mill operator would simply stop his mill. To tell others at night, an operator would stop his mill and hoist an oil lamp to the top of it so it was visible. Other mill operators would subsequently do the same. 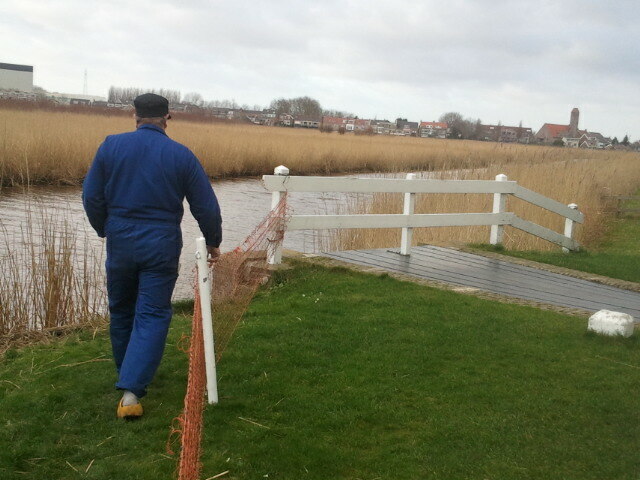 Leven met water, wind, en landschap. The windmill operators seemed always to be in tune with the weather, and canals were a way of life. Cornelius told us that operators historically used the canals for everything including drinking, drainage, fishing for eel. They used the landscape for sheep grazing and farming. They repaired the fishing nets while awake late at night waiting for the wind. The tops of the mills have ball-bearings so the operator can immediately rotate the mill (see yellow ring around top in photo) to always face the direction of the wind. If it were not very windy, the operator could open the sails on the mill to help it spin. Not surprisingly, wind was necessary to pump water. Thus, if there were a rainy but non-windy day, a polder would have flooded because nothing could pump it out. An operator would need to stay on alert so that if in the middle of the night the wind finally picked up again, he would immediately re-position the mill to face the wind and commence pumping again through the night. Today the Kinderdijk exists only for cultural preservation. The mills work (as in, they spin), and people still live in 18 of them, but they don’t function to drain the polder anymore. This job was outsourced to a steam-powered pump in the late 1800’s shown here. (video credit to my friend Almar)In California we have such a system to pump out polders (or “tracts”as we call them in the California Delta) in the case of heavy rain, dike breaches, or seepage (piping). These pumps are also powered by steam engines or generators, and some polders face such strong seepage (piping) problems that the pumps operate 24 hours a day to keep them dry. Have we moved away from the Pioneer Spirit? Today the Dutch are famous for their Water Management Expertise as a top sector export in their economy, and they have developed highly sophisticated models, technologies, and forecasting tools help sustain their way of life. Thus, they are rarely “surprised” by the sea, the river, or a storm and they repeatedly respond well in emergencies without catastrophic damage. But what about for the non-experts? I have heard colleagues here argue that the average Nederlander today no longer “lives with water” because they have engineered themselves completely away from it. The former head of Emergency Services in San Joaquin County used to speak similarly of residents in the Sacramento-San Joaquin Delta and their perception of flood risks; he referred often to the “pioneer spirit” of the first settlers in the (California) Delta who experienced regular flooding, understood the risk, willingly accepted it, and consciously decided how to live with it. Now, he says, “that spirit is gone.” Studies in both the Netherlands and the United States showed that the dry-footed residents don’t have experience with floods, are no longer aware of flood risk, and they are unprepared for them. All over the world, steam powered pumps replaced windmills, KNMI forecasting replaces reading the horizon (or other weather-related signals once intuitive to those working with water), and dikes and seawalls now “protect” suburban developments, industrial areas, or farms that used to be floodplain. The benefits of all of this cannot be ignored, but neither can the risks. Fortunately the landscape at the Kinderdijk has been preserved by UNESCO and along with it, some of the local knowledge now inherent in Cornelius and the hundreds of other windmill operators that came before him. Experience means that some can throw their caution to the wind and probably come out okay on the other side. For the rest of us though, that remains to be seen– never having experienced floods but living still on floodprone lands, most of us are forced to trust in our new models (presumably calibrated by someone’s actual experience), technologies, expert opinions, and sound leadership to fill that void. Though we are often resistant to change (and new information) and want to maintain our “Dry feet”, we might consider investing in a pair of Wellingtons and figure out a way to work with water again on a more regular basis. A friend of mine, Hayley Diamond drew this of me before I moved here.